Successful help for resolving problems in your relationships. Couples Counselling Clinic based in North London, close to Chorleywood, Amersham, Watford, Northwood, Ruislip and Uxbridge. Ok, so we can’t always be as happy and smug as the couple to our right! However, many relationships struggle and fail due to issues that, with the right assistance, can be salvaged and turned around. It can be difficult to know where to turn when your relationship goes through a rough patch. It can be all too easy to get into unhelpful cycles of behaviour that result in one or both of you feeling frustrated, angry, insecure and unfulfilled in your relationship. Perhaps you can see the destructive patterns of behaviour but feel powerless to make any changes. If you or your partner is suffering from poor self esteem, high stress levels and not coping with the pressures of life, this can take it’s toll on both of you. When we aren’t feeling good about ourselves we can lack tolerance towards our partner which can result in irritations, anger or just simply closing up and being unwilling to communicate. I stumbled across Cara and the Thrive Programme at a time in my life when I didn’t really know what was wrong except I just wasn’t feeling myself. I had my doubts initially about the course as couldn’t bear the thought of someone trying to psychoanalyse me but this couldn’t be further from the truth. By the end of the programme I was pretty amazed at how much better I felt in just 6 short weeks. I did put effort into and did all the activities as quite early on I felt a good connection to Cara and trusted her. She never made me feel uneasy, she just gets it! In fact we had some good laughs during the session and before I knew it I was back to my happy place. I have already found myself recommending this course to my loved ones. It was simply brilliant and I will certainly be keeping in touch with Cara. At the Rickmansworth Thrive Programme Clinic, we can offer an entirely different, yet highly effective programme to help you, your partner, or indeed both of you to resolve the issues that blight your relationship. The feedback I often hear from people who have undergone traditional marriage guidance or couples counselling sessions is that there can be a lot of talking about the issues in their relationship….but nothing really changes at the end of it. The Thrive Programme offers a completely different and refreshing approach. The Thrive Programme is a unique psychological training programme which can completely change and improve the way you think and feel about yourself and your relationship in just six weekly sessions. The Thrive Programme helped me through an extremely difficult time in my life, when my marriage was failing and I had virtually no self-esteem. Through the programme, I learnt how to tackle various issues and difficulties in my life and to develop a more positive outlook. • Reduce/eliminate social anxiety (how judged you feel by your partner and other people). • Learn the unhelpful thinking styles you adopt: a perfectionist, a brooder, a catastrophiser, etc. The sessions can be undertaken individually with either one, or both of you having your own personal session. This is recommended as it generally leads to more openness and freedom to talk honestly. 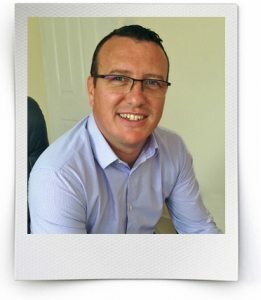 If you both wish to undergo The Thrive Programme, but one partner would prefer to work with a different Thrive Consultant, I can highly recommend my Thrive colleague Simon Mason. Click here to find out more about Simon. What will I/we gain from the sessions? The Thrive Programme is about so much more than just helping you to overcome your symptoms and issues. It is about teaching you to have good self esteem and the emotional control to enjoy life to its full and Thrive. In one-to-one sessions, we will help you create strong psychological and emotional foundations, leading to a happier, more confident, more successful and resilient you. The Thrive Programme is an amazingly effective and empowering way to boost your confidence and increase your self worth, either as an individual or one half of a relationship. So many problems in relationships are the result of poor self esteem of the people within them. The Thrive Programme will provide you with amazing personal insight, allowing you to totally change any limiting belief systems that are adversely affecting your life in just six weekly sessions. When you are thriving as individuals, it makes it much easier to thrive as a couple. Please don’t hesitate to get in touch if you have a question or would like to book a consultation for yourself or the two of you. Simply call my mobile on 07740 781 573. If I’m with a client, you can leave a confidential message on my answerphone and I will return your call as soon as possible. Couples Counselling and Marriage Guidance at the Rickmansworth Thrive Programme Clinic. 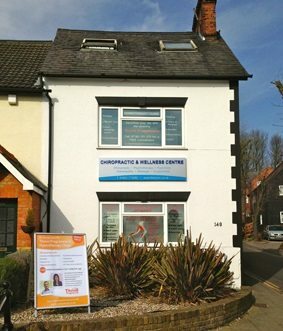 Rickmansworth clinic, close to Chorleywood, Amersham, Watford, Northwood, Ruislip and Uxbridge.